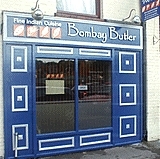 Welcome to the Bombay Butler Indian Restaurant. We are located in Stansted, Essex and have many years of experience in serving the finest Indian cuisine since 1990 both within the restaurant and to our takeaway customers. Our attentive staff will ensure your time with us is an enjoyable one. We only use the finest quality ingredients and all of our dishes are freshly prepared. If there is any dish which is not featured on the menu please do not hesitate to ask. With plenty of local parking along with a wide range of public transport options, we are ideally located in the centre of the historic town of Stansted. Perhaps you would like to try our new Butlet Express Menu which offers two great menu options.